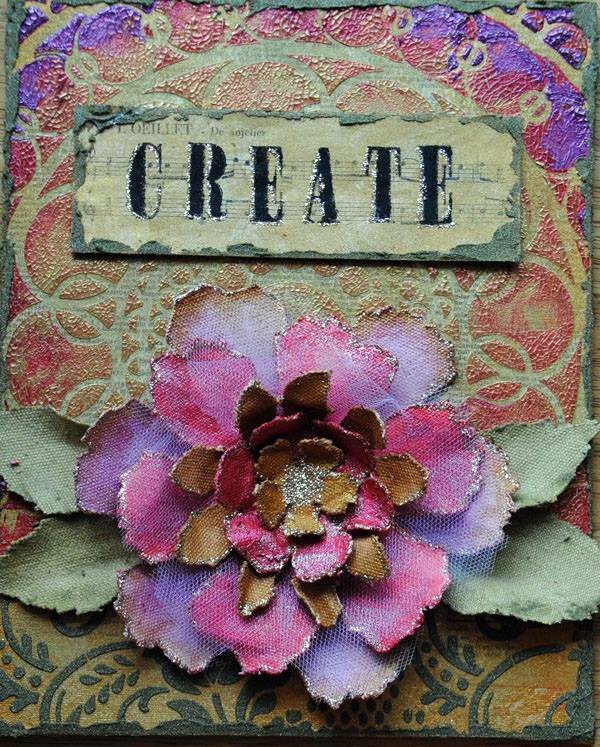 You will create a painted, crackling, stenciled, highly textured masterpiece on this 8×12 canvas incorporating a variety of techniques and products from Viva Décor and the brand new Jumbo floral die from Tim Holtz for the Canvas flower. We will focus on mixing media such as Ferro, Inka Gold, and Crackle to achieve layers of beautiful depth that just glow. Please bring to class: Paintable adhesive such as Gel Medium or Ranger’s Multi Medium, variety of paint brushes and a container for water, palette knife, heat gun if you have one. 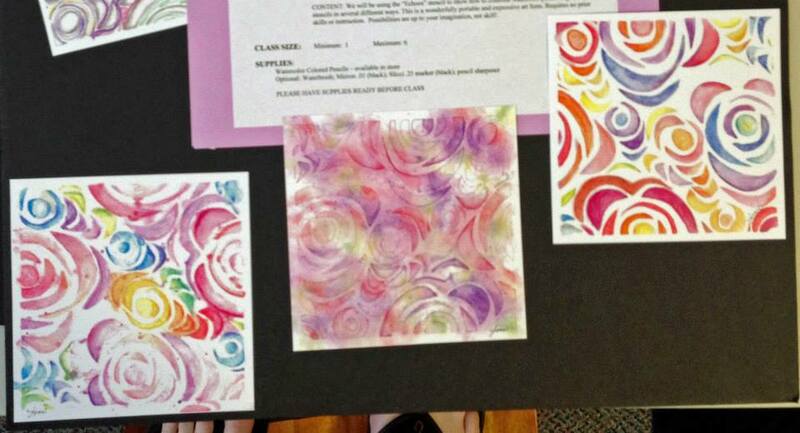 Jen Starr will be teaching five classes in two days at Runaway Art & Craft Studio! A national mixed media artist, she is a Senior Educator for Viva Décor USA, the Creative Director for Art Anthology and a fully certified and recognized Ranger Industries Instructor!